We had fun planning this series of events for our Preserver Members and our most generous annual supporters. You can select from a wide range of adventures and events spanning the entire year. When appropriate, we indicate the difficulty level participants can expect. 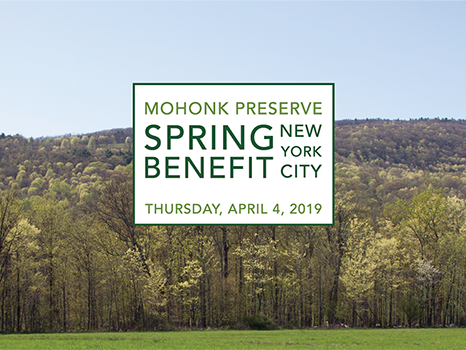 Unless otherwise indicated, to RSVP please email PreserveMember@mohonkpreserve.org or call Mallory Pierce, Director of Donor Relations, at (845) 255-0919, ext. 1240. We look forward to seeing you on the land in 2019! 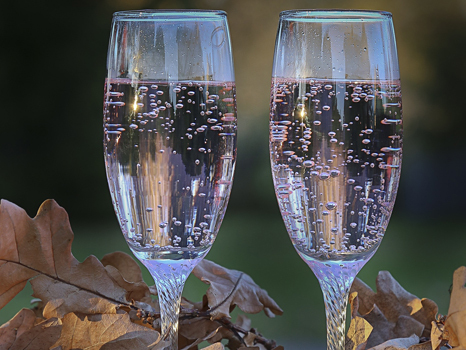 Please join us for a meet and greet with Mohonk Preserve’s most generous supporters and enjoy a delicious buffet-style champagne brunch in the Visitor Center Exhibit Hall. At our gathering we’ll announce the full line-up of activities and introduce the outstanding Preserve staff members who will lead us on our 2019 Preserver Hikes and Happenings adventures. Afterwards, take a moment to explore the many fun and educational exhibits at the Visitor Center. 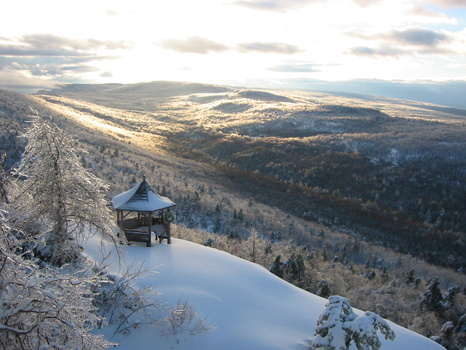 Accompany Preserve staff on the trails around Mohonk Preserve and Mohonk Mountain House on our way to Copes Lookout. Following this invigorating outing, we’ll warm up with hot chocolate and a light lunch provided by the Preserve. If there’s no snow, plan for a winter hike! What to bring: snowshoes (rental available from Rock & Snow), ski poles, sunglasses, water, snacks, and appropriate clothing for expected conditions. Difficulty level: Moderate to challenging depending on fitness level. Snowshoeing is a strenuous activity that may involve trail breaking and extended periods of time in cold temperatures. This 5.5-mile route has limited road access with significant elevation gain in some sections. We will progress at a steady pace with occasional stops to enjoy the view and make observations. Participants should plan for a three- to four-hour outing. Reimagined for 2019, this year’s fundraiser will be more relaxed with a casual vibe. Enjoy dinner, great wine and musical entertainment by Roscoe & Etta featuring Maia Sharp and Anna Schulze. We hope you’ll join us for a taste of the Gunks in Manhattan. For ticket/table information, contact Tom Leader, Special Events Manager at (845) 255-0919 ext. 1241. We’ll meet at the Spring Farm Trailhead and divide into groups based on interest and terrain difficulty. 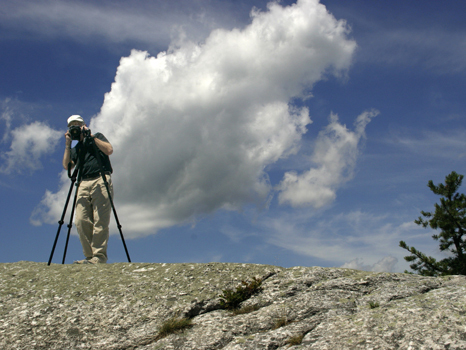 Mohonk Preserve staff and Volunteer Photographers will lead you on the day’s outing. Our highly skilled photographers will share their expertise on how you can capture the moment with the equipment you have available to you. What to bring: binoculars, camera (cell phone camera is fine), water, snacks, appropriate clothing for expected conditions, insect repellent, and walking poles. Difficulty level: Participants can select their route with options ranging from easy to moderate. Plan for a two-hour outing. Tower to Tower: Buds and Birds! 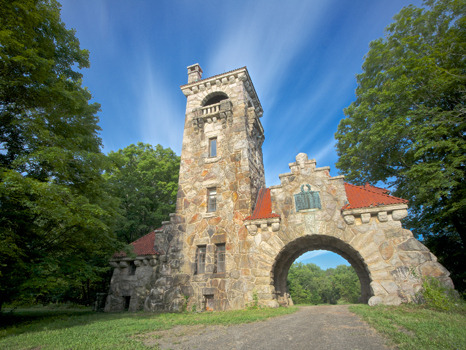 Conservation Science staff members Megan Napoli and Natalie Feldsine will lead us on a hike from the Mohonk Preserve Foothills Testimonial Gateway Tower to the Smiley Memorial Tower, better known as Sky Top. 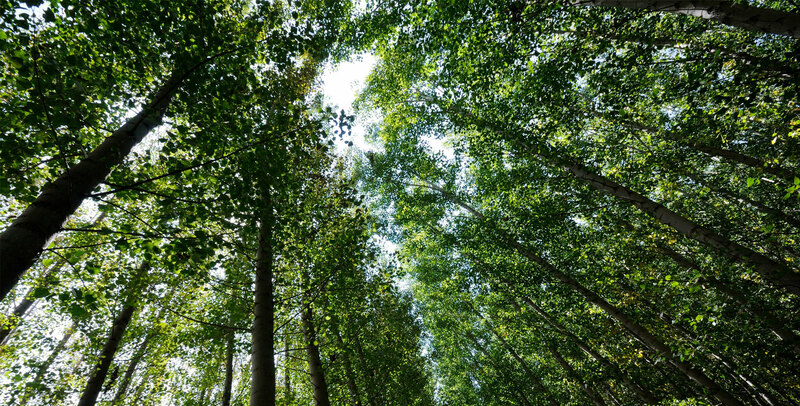 Along the way, we will stop to observe birds and buds, and enjoy spectacular views. At Sky Top, we’ll eat our lunches and pat each other on the back while we take in the views of the Rondout and Wallkill Valleys. After lunch, we’ll transport you back to the Testimonial Gateway to retrieve your vehicle. What to bring: lunch, water, snacks, binoculars, appropriate clothing for expected conditions, insect repellent, camera, and walking poles. Difficulty level: Moderate to challenging depending on one’s fitness level. The approach to Sky Top involves significant elevation gain. We will walk at a steady pace with occasional stops to observe birds and plants. Plan for a three- to four-hour outing. Join us for an enjoyable Sunday afternoon at the Slingerland Pavilion, our splendid open-air cedar building. The Pavilion’s convenient location at the Spring Farm Trailhead offers stunning views of the Catskill Mountains. Dine on sumptuous barbecue, listen to live music, enjoy a glass of wine, and catch up with friends and family. Kick back, relax, and socialize on a summer afternoon. Bonticou Circle, Trapps Circle and Millbrook Circle members receive two complimentary tickets. 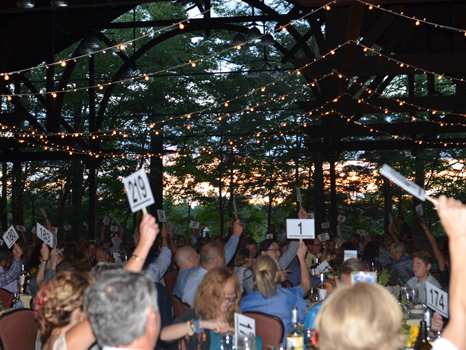 You’re invited to join friends and neighbors at the Mohonk Mountain House Ice Skating Pavilion for an evening of spirited bidding and lively conversation to celebrate the Preserve and support our award-winning education, land protection, stewardship and conservation science programs. We’ll gather at West Trapps Trailhead for warm refreshments before we head out with Conservation Science staff leaders Dr. Elizabeth Long and Megan Napoli. Together, we’ll walk along the Millbrook Trail to our Hawk Watch location where Elizabeth and Megan will help you identify raptors on their fall migration route over the ridge. What to bring: binoculars, water, snacks, insect repellent, appropriate clothing for expected conditions, camera and walking poles optional; bird ID book or mobile app, Hawk Guide. Difficulty level: Moderate. Expect a short but steep and possibly slippery walk along a rocky trail to the observation point. Plan on a two-hour outing. 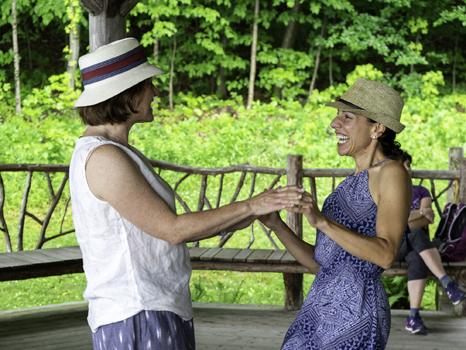 To wrap-up our 2019 Hikes and Happenings series, President Glenn Hoagland and Vice President MJ Martin will host a special event at Kleinekill Farm. We will gather at the gate along Lenape Lane and caravan up the hill to park. 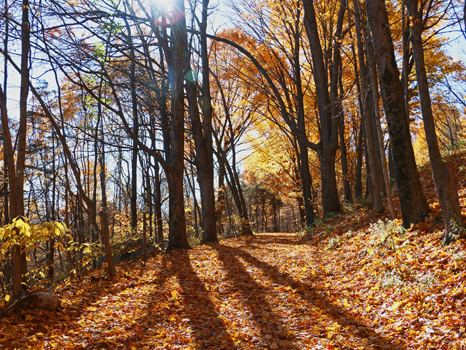 Glenn and MJ will lead the group on a moderate walk along the carriage roads and trails surrounding Kleinekill Farm, sharing the history and lore of the area along the way. 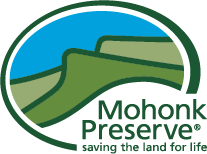 After our walk, you will be treated to a delicious catered lunch provided by Mohonk Preserve at the Farm’s high meadow where you will enjoy expansive views of the Foothills cloaked in autumn’s colors. What to bring: binoculars, water, insect repellent, appropriate clothing for expected conditions, camera and walking poles. Difficulty level: Easy to moderate with a notable climb along a carriage road to our picnic spot. Plan on a three to four-hour outing.